A family that grooms together, stays together. So when it comes to hair, skin and beauty, Apple Glow Family Salon is committed to offering a wide range of services. 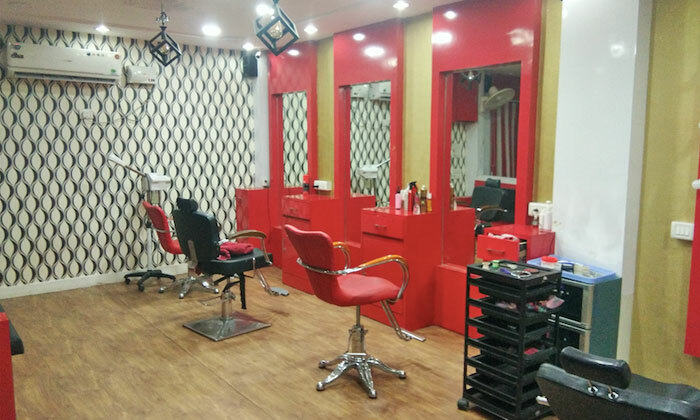 Nestled amidst the hustle and bustle localities of Ramakrishna Puram, Hyderabad, the salon offers head to toe services all under one single roof. The experienced staff ensures to deliver the power of touch to achieve the desired results. Head to Apple Glow Family Salon and have a luxurious day-out to pamper your worn-out self.